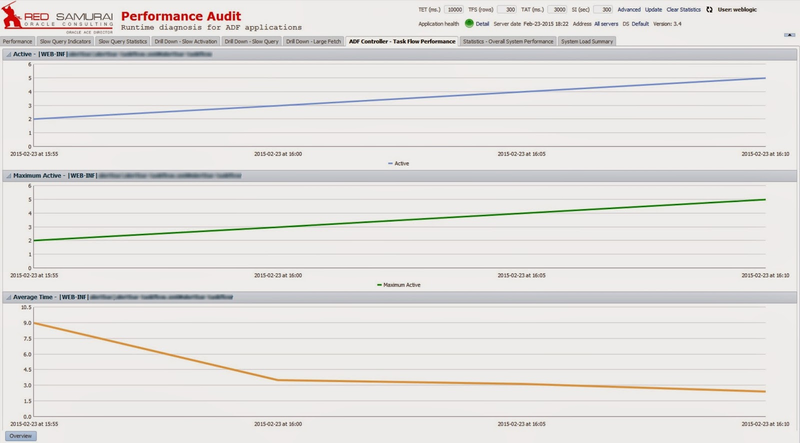 We have integrated Red Samurai ADF Performance Audit Tool with Oracle DMS Spy Servlet. Integration is dynamic and doesn't require any extra configuration. It brings out of the box information about ADF Task Flow usage and performance. This means we are analysing from now on not only ADF BC performance data, but ADF Controller data also. DMS Spy Servlet context is accessed in certain intervals and we are not only displaying DMS data, but storing it inside our audit tables. This allows to keep historical data and preserve it between WLS restarts - this is not possible with DMS Spy Servlet alone. 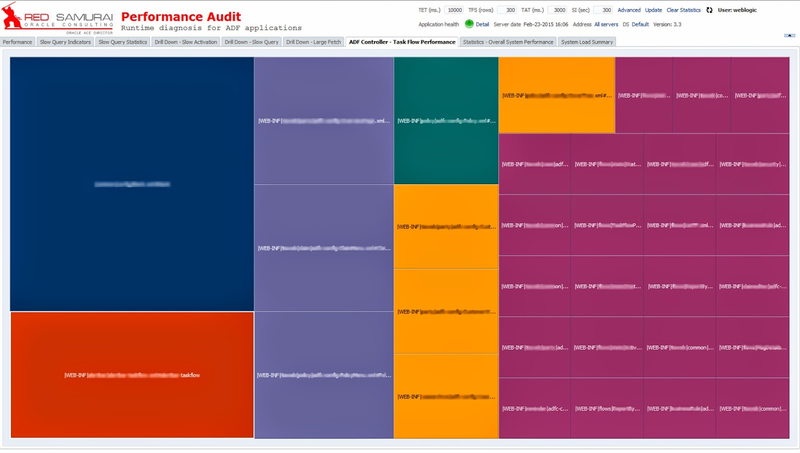 Here you can check information about previous v 3.3 version - Red Samurai ADF Performance Audit Tool v 3.3 - Audit Improvements.